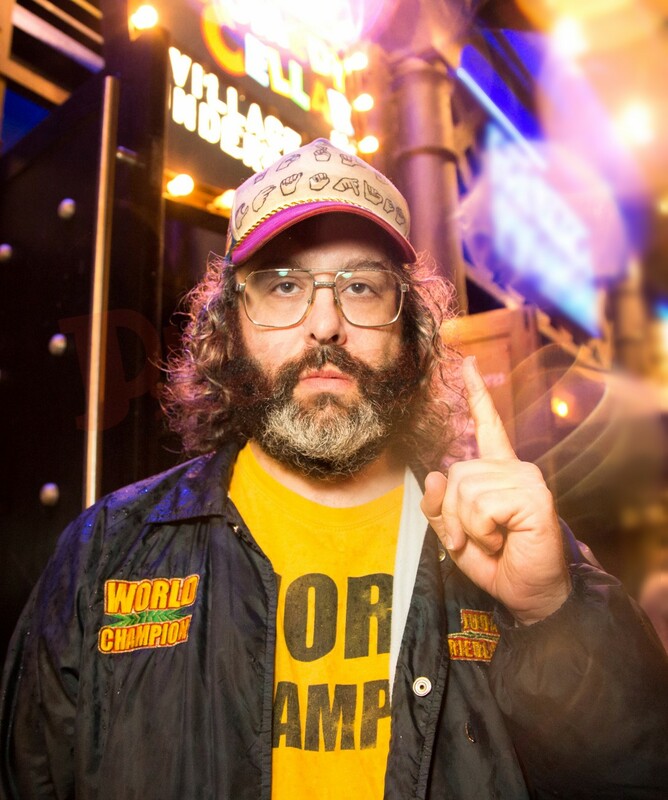 Comedian Judah Friedlander is the World Champion. Of what, you ask? Try every-goddamn-thing. Best athlete? Check. Most tender lover? Check. Impossibly snazzy steez? Check, check. Friedlander has been performing standup since 1989 and is known for roles in films such as Zoolander and Wet Hot American Summer and the TV comedies "30 Rock" and "Curb Your Enthusiasm." He developed his World Champ schtick as a pointed satire of narcissism and braggadocio in modern culture. But over the years, Friedlander has shifted his critiques of American and global exceptionalism and begun to use his excellence at everything for good. He's become not merely the champion of the world, but a champion for it, a gruff voice of reason and righteousness in increasingly uncertain times. Friedlander performs a two-night, four-show run this Friday and Saturday, July 29 and 30, at the Vermont Comedy Club in Burlington . Seven Days spoke with the Champ by phone to play a quick round of Seven Questions. SEVEN DAYS: Question No. 1: You are generally acknowledged as the World Champion of, well, pretty much everything. What is something you are not the best at? JUDAH FRIEDLANDER: Math and reading are not strong points. But you know, in addition to being the greatest athlete in the world, what I'm really doing more of is being an advocate for the world, the people and plants of the world. I'm the champion of the world's rights, so to speak. I'm still this great athlete and things. But that's not what I'm talking about as much these days. SD: Second question: When there is a champion, there are always challengers. Who are the biggest challengers to your championship belt? JF: I don't remember any of their names. Their kids write me letters saying they wish I was their dad and stuff. But I don't remember the actual competitors' names. SD: They must not be that great, then. JF: Yeah, sorry. That's just the way it is. SD: Third question: Donald Trump has basically stolen your platform of being the best at everything. Have you considered asking him to cease and desist, à la Queen and Trump's use of "We Are the Champions?" JF: Well, I think your question is a little bit incorrect. He hasn't stolen anything from me. If he stole anything from me, he would be an amazing candidate. He's a hateful and fearful guy and is using [hate and fear] to try to get votes. That isn't what I do. A lot of things scare him. Women scare him. Muslims, Mexicans. He's a very scared guy. I will say about his hats: That was an attempt to try and steal my style. But it was a very poor one. His hats are red and white. According to that, he must be running for president of Canada. Because our colors are red, white and blue. He couldn't even get the colors of the hat right to match the colors of our flag. To me that spells un-American. SD: Question four: You've appeared in numerous films and TV shows. But your voice was in Star Wars: The Force Awakens. That's gotta be a career highlight, right? JF: It wasn't my voice, actually. But I'm in it. You see me in it, but I don't actually have any lines. But that was a real treat to have anything to with it. SD: Dammit. That's what I get for not cross-referencing your Wikipedia page. JF: Maybe they got me confused with Bill Hader. He does stuff for BB-8. But I'm in it for, like, a split second. SD: Fifth question: Are there any particular roles you've turned down that you regret passing on? JF: Oh, jeez. There have been a lot I've turned down. There are parts I wish I had known about. There are more of those. But not the ones I've turned down. Those are decisions you make and you move forward. Standup is my main thing anyway. SD: Question six: How did you prepare for your role as Weird Al Yankovic on "Children's Hospital"? Deep method stuff? JF: Yeah, that was pretty funny. That was a fun shoot. I grew up watching him as a kid, so I didn't have to do that much preparation. It was such a weird character to play, because I played Weird Al, but Weird Al was actually in it also, playing someone else. It was great. But he's got Yugoslavian heritage and so do I, so there's some similarity there. SD: Last question: The Olympics are right around the corner. I know you're not competing, but if you were, what would be your best event? JF: First of all, I talk about this in my act. I talk a lot about my presidential platform and I think I might have to get in on this election. I'm gonna ban the Olympics when I'm president. Because I think it's wrong that whichever country wins the most medals gets to invade the Ukraine. But of I were to be in it, it would be table tennis, Ping Pong. SD: I would have thought karate. JF: Well, we want to make things at least a little bit exciting, have a little bit of competition.